We are proud to partner with a variety of schools and organizations across the country to increase college knowledge for middle and high school students. Our current program partners are vastly unique. Our recommended model is that schools implement the Roadmap to Success program during the school day across an entire grade level, but we also work within after-school, mentoring and nontraditional educational settings. Since its inception, the Roadmap to Success Program has impacted over 45,000 students. Education Opens Doors currently supports partners in Texas and Louisiana who utilize the Roadmap to Success program. Our program partners include public, charter and select private schools as well as non-traditional school settings. Education Opens Doors currently works with schools in districts and networks across Texas and in New Orleans, Louisiana. Click on the district icon for a comprehensive list of schools where the Roadmap to Success program is implemented. In addition to traditional school partners, Education Opens Doors is proud to work with additional partners in non-traditional settings, including after-school and mentoring models. Last year we served 9,655 students & 147 teachers. 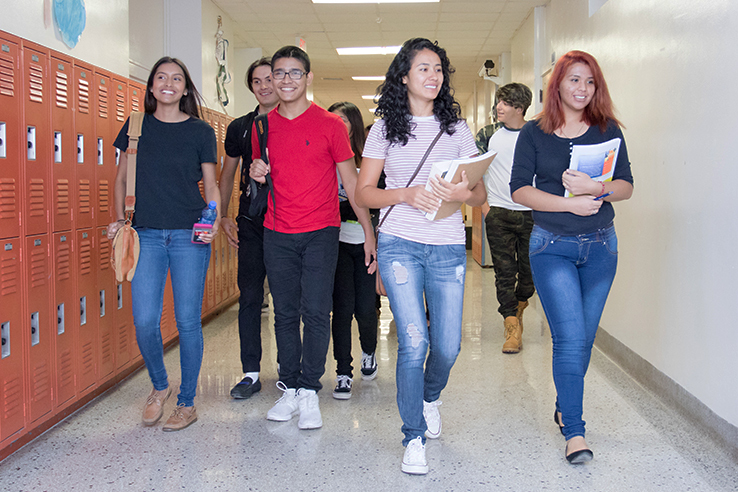 Our students show significant growth in college and career knowledge and increased motivation and self-confidence thanks to the Roadmap to Success program. Learn more about our results. Want to hear more about the Roadmap to Success program throughout the year? Subscribe to our newsletter to hear updates from our program partners plus news and events.